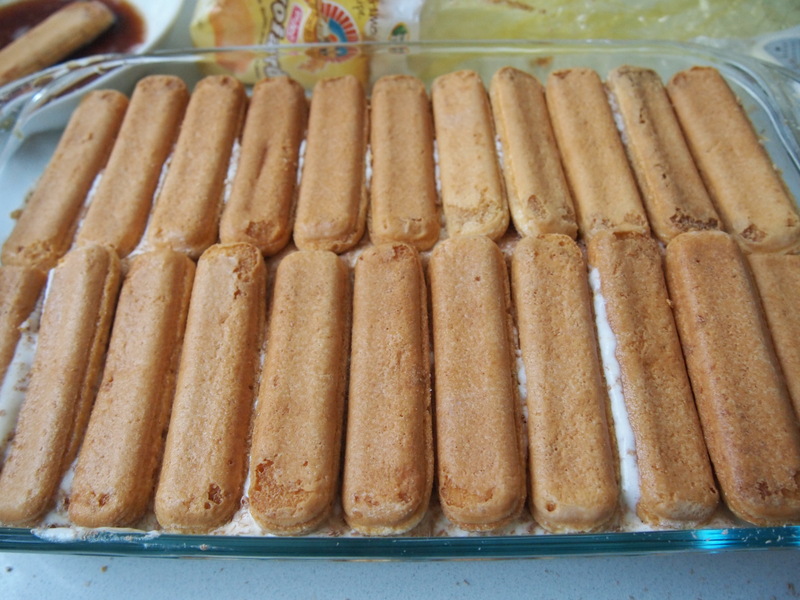 Tiramisu is a classic Italian dessert comprising of coffee soaked savoiardi (lady finger) biscuits that are layered with a whisked filling of mascarpone cheese, eggs and sugar. It’s totally delicious and addictive and I don’t think there was a date night in the 80’s when this wasn’t ordered for dessert! Don’t be fooled by all the eggs and mascarpone cheese, made correctly this dessert is actually quite light and not overly sweet. I use the word authentic in the title because there are quite a few different methods for making this dessert but the original and classic method doesn’t incorporate any cream, it uses whisked egg whites instead, making the filling much lighter. The other major difference in a classic tiramisu is that the egg yolk and sugar mixture is carefully cooked over simmering water to create a zabaglione (or a sabayon) before the mascarpone cheese is incorporated. The quicker version eliminates this step and I think the final dish suffers for it. So whilst this method does take a little longer to prepare it’s well worth the effort. Tiramisu is great for entertaining as it needs to be made a day in advance for all the layers and flavours to set and whilst this is a dessert normally for the grown ups, as it’s laced with coffee and Marsala wine, I’ve often made it for the family using decaffeinated coffee and no alcohol. Place the egg yolks with 5 tablespoons of the sugar into a heatproof bowl and whisk well to combine. Add the Marsala wine and beat again. Place the bowl over a pan of simmering water (don’t let the bottom of the bowl hit the water). Constantly whisk the mixture until it doubles in size and the colour lightens. 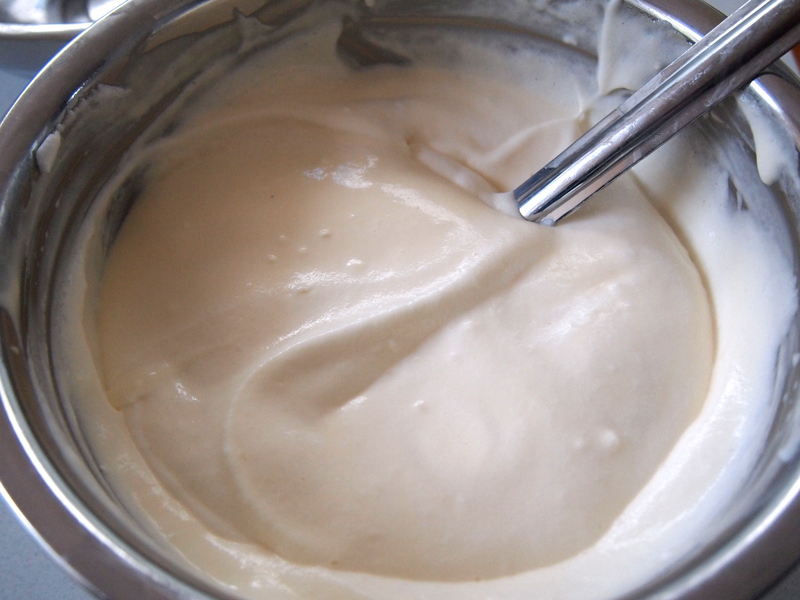 You want to whisk in as much air as possible, the air combined with the heat will create a thick emulsion. You need to be careful that the heat isn’t too fierce or it will scramble the eggs. Remove from the heat and beat for a couple of more minutes to cool the mixture down. 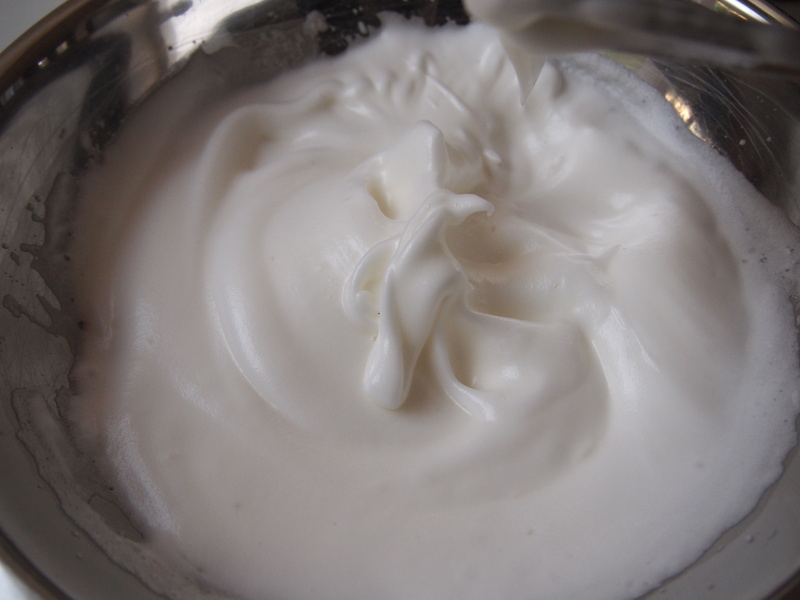 Next beat your egg whites with an electric hand mixer or stand mixer until soft peaks form. Add the remaining 5 tablespoons of sugar and beat until fully incorporated and the eggs whites are stiff and glossy. Place the mascarpone into a large bowl and break it up into smaller pieces. 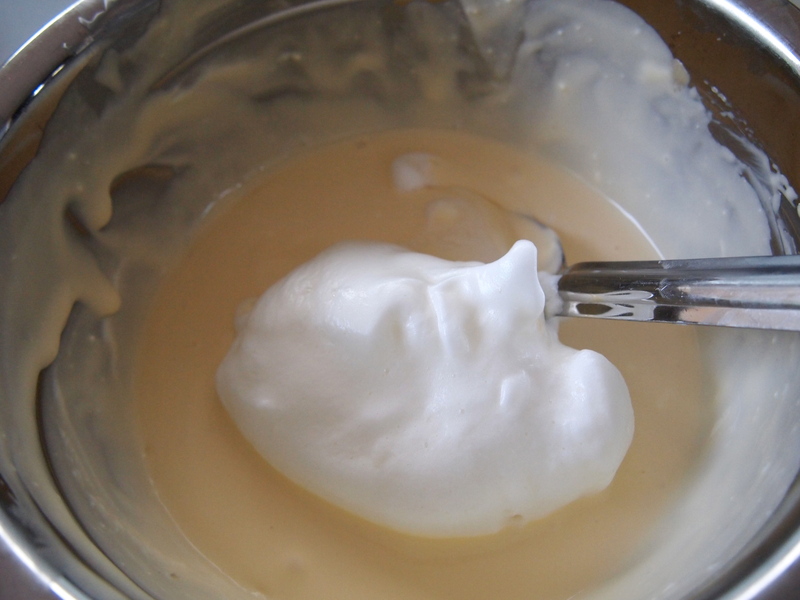 Add a spoon of the zabaglione to the mascarpone and stir it in, this will help to thin the mascarpone out. 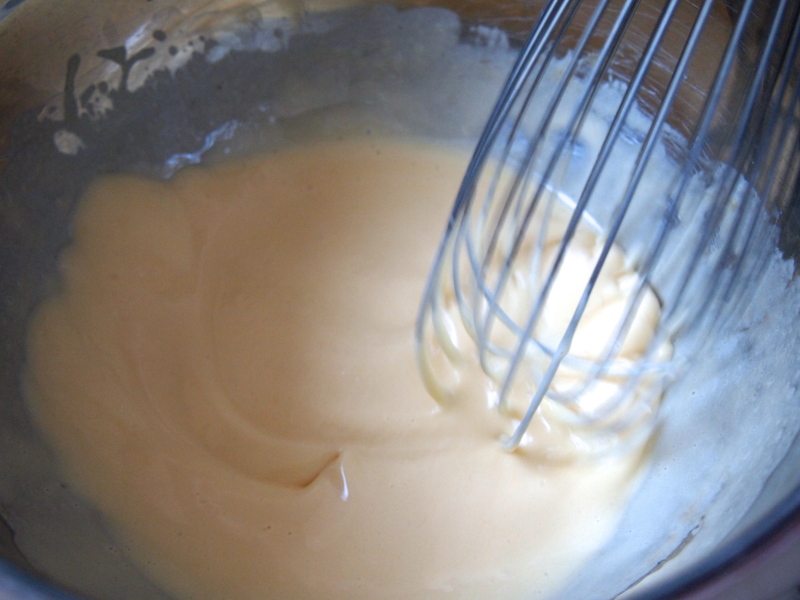 Fold in the rest of the zabaglione and stir until almost fully combined. Add a scoop of whipped egg white to the mascarpone and beat it in until it’s combined – again this will lighten the mixture and will make it easier to incorporate the rest of the egg whites. Work in the rest of the egg whites, gently folding them in without deflating them, until they are fully combined with the mascarpone mixture. 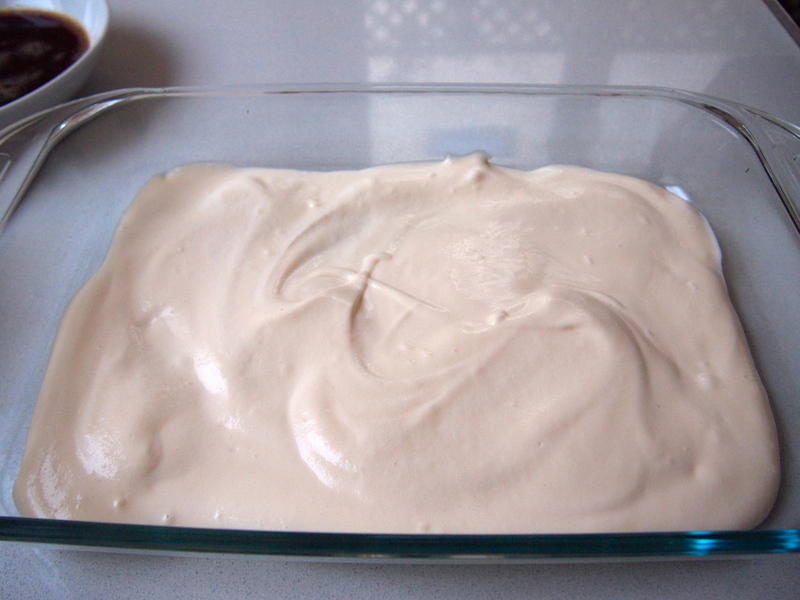 To assemble the dish, spread about a quarter of the mascarpone mixture on the bottom of a large dish. I like to use a rectangular glass dish. Sprinkle a little grated chocolate over the mascarpone. 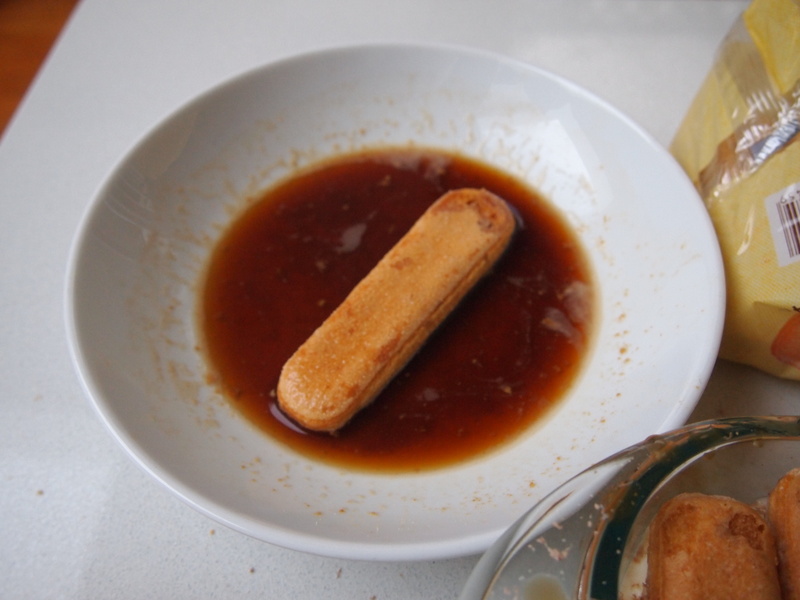 Place the cold coffee into a shallow bowl and quickly dip a savoiardi biscuit into the coffee for only about a second on each side. Don’t dip them too long, as they go from slightly soft to mushy very quickly. Place the biscuit onto the mascarpone layer in the dish and continue dipping the biscuits until you have a fully covered the dish. Spread another layer of mascarpone and then some more grated chocolate, and keep layering biscuits and cream mixture, finishing off with a layer of mascarpone. Using a small fine sieve coat the top with a nice even layer of cocoa powder. Cover with cling film and refrigerate, preferably overnight but for at least 6 hours. Remove from the fridge about 30 minutes before serving. 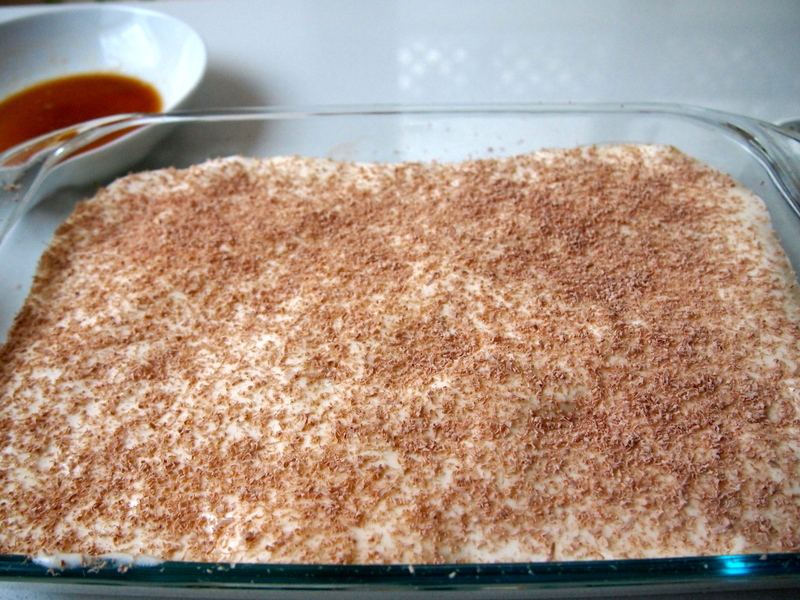 This is the best Tiramisu recipe! 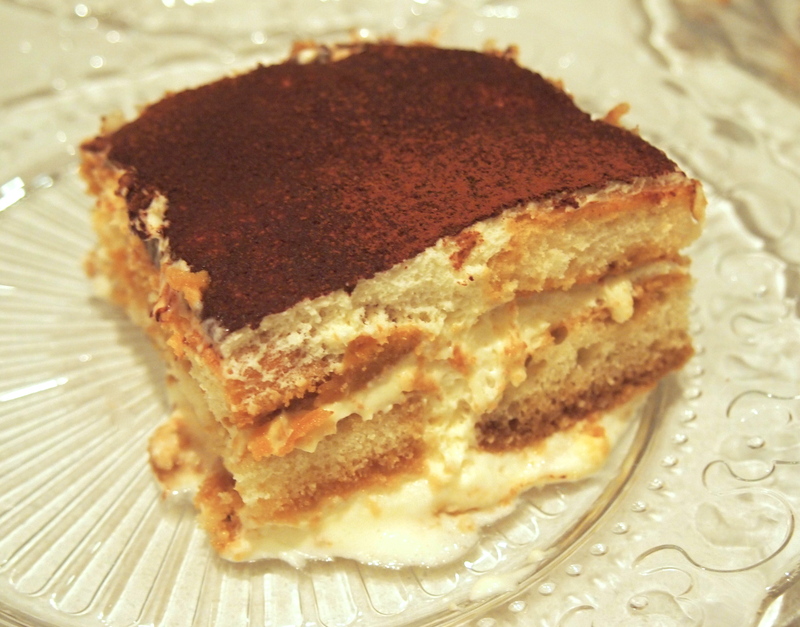 I typically do not like Tiramisu until I had it at a local restaurant. After reading several recipes it was clear the difference had to be the egg whites instead of using whipping cream. I made this recipe last night and have been eating it all day! Wow! It is fabulous! This is a keeper recipe. Thanks so much! 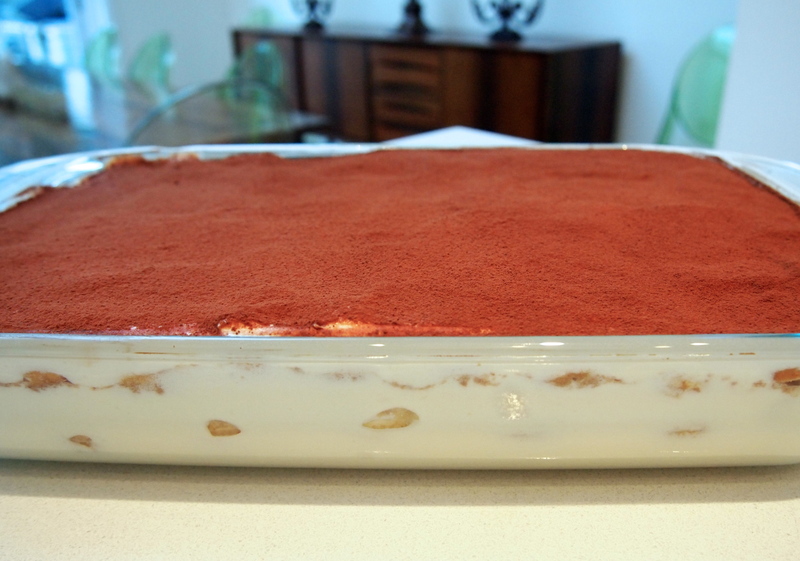 Thanks for the comment metoo – so glad you enjoyed the tiramisu! It’s a great dessert and making it in this way means it’s actually not too heavy.